Who Can Win? Poll w/ open thread. In the wake of Tuesday’s primary, the buzz among activists has turned to a simple question: Who can win? More precisely, in what order do you think our statewide candidates have the best chance to win? Baker/Tisei: They have raised the most money by far. 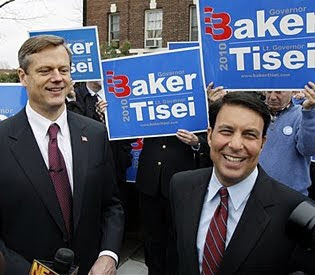 Massachusetts voters have shown the greatest willingness to give us the corner office for “balance.” Deval Patrick may get booted out of office. On this other side, the “Cahill Factor” might ruin this one for us. Jim McKenna: Jim McKenna can’t win, but Martha Coakley can definitely lose. She is a known factor who damaged herself tremendously in the closing weeks of her loss to United States Senator Scott Brown. If the voters decide to boot her out of office, McKenna can collect the spoils. There is definitely a level of energy and enthusiasm to do just that. This election will be a referendum on Martha Coakley. It’s Jim’s job to be a plausible, non-offensive alternative if they decide to vote her out. Bill Campbell: Bil Campbell is the Past President Massachusetts City Clerks Association and Member of Executive Board. He has an outstanding resume for the job. Unfortunately for him, Bill Galvin is a well financed, entrenched incumbent with a lot more money. Media wise, this excellent candidate has been lost in the shuffle a bit. 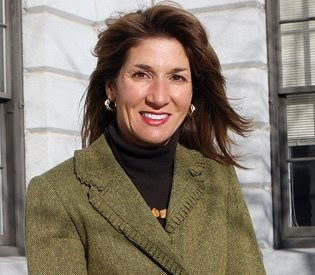 Karyn Polito: She has money, volunteers, some statewide recognition from legislation concerning charitable license plates and Jessica’s law. She’s already elected and has an open seat. Her opponent Steve Grossman is about as charismatic as a rotting shunk, but can self finance millions on a whim. Mary Z. Connaughton: Mary Z. Connaughton benefited greatly from her primary with Kamal Jain. She gained a lot of earned media coverage, newspaper endorsements, and matching funds from the state she would not have gotten if Kamal had not run. She also avoids a 3rd party/unenrolled candidate in the general. On the Dem side, they nominated Bump instead of Glodis. In my opinion, this greatly increases the chances for Mary Z. This race is now about a professional Auditor vs. a professional lobbyist. That’s a one sentence message that easy to understand. This is a “Multi Vote” poll. Check all that you think will win in November. I voted for Baker, Polito and Connaughton. We’ll know more after the first wave of polling.